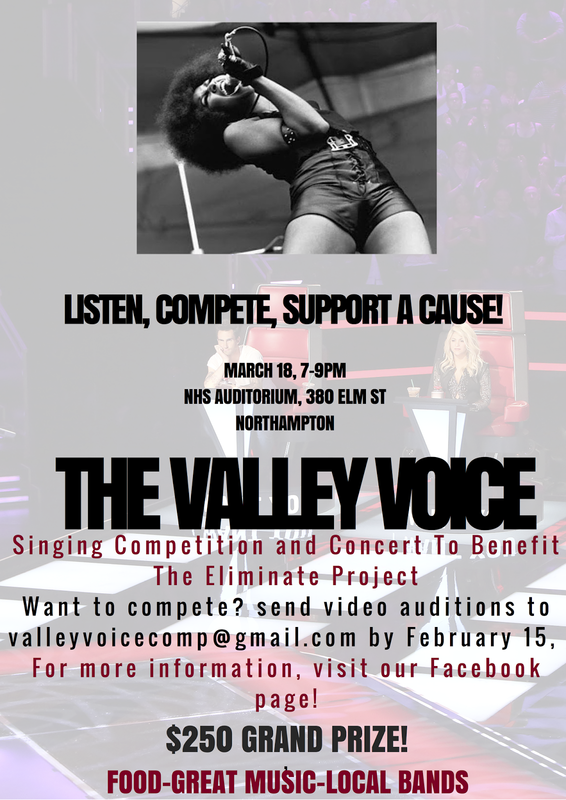 Northampton High School’s Key Club will host ̈The Valley Voice, ̈ a regional voice competition on March 18 at 380 Elm St, Northampton, from 7­-9pm for all ages. The event will raise funds for The Eliminate Project. The Key Club is a national community service organization sponsored by Kiwanis International. Key Club’s members are active within the community and involved in a large variety of service projects, ranging from bookshelf building for local elementary schools to sending a delegation down for service in Nicaragua. This student organized event aims both to raise funds and awareness for the Eliminate Project­ a Kiwanis and UNICEF sponsored organization fighting to end maternal and neonatal tetanus, which can be fatal for mothers and newborns and produce repeated painful convulsions for those affected. The Valley Voice competition will be a night of music, fun, and food, with appearances from local bands and a wide array of refreshments available in addition to the performances from each of the competitors, each who will sing a song of their choosing. By the end of the night, judges will choose three winners: First place will receive a grand prize of $250, 2nd place $100, and 3rd $50. 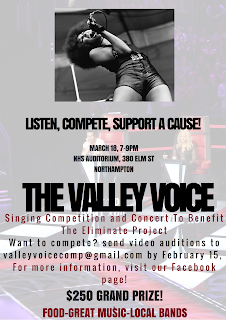 To enter the competition, we ask all who are interested to send in a video audition of them singing one song to valleyvoicecomp@gmail.com by February 15. $5 to enter, and a link to a PayPal will be sent to them within 24 hours where they can pay, or send us an email if you’d prefer a different payment method.